Culture | Exhibition of military equipment. Nizhny Novgorod. 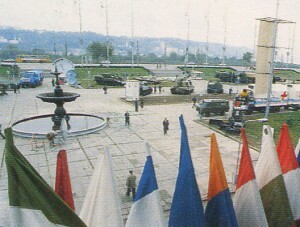 Exhibition of military equipment. Nizhny Novgorod. The Kremlin Of Nizhny Novgorod.The “Krasnoye Sormovo” Plant. The shop where submarines are produced – “MIG-29” fighter.